Trying to lose weight is one of the most difficult challenges that many people will ever confront. But for some, weight loss goes beyond just sticking to a diet and starting to exercise. Dieters may also confront significant physical, emotional or environmental barriers that cause weight gain and make it harder to lose weight. If you can’t lose weight, you may want to look for a physical cause. Physical barriers to weight loss may be as simple as lack of sleep or as complex as a medical diagnosis. But just like emotional barriers and environmental barriers to weight loss, there are ways to overcome the challenges and lose weight. In a study about barriers to exercise, participants cited “tiredness” as a common reason that they did not exercise. Exhaustion and lack of sleep can also be a common reason that dieters fall back into unhealthy eating habits and can’t lose weight. Studies have shown that sleep affects the production of leptin and ghrelin, two hormones that affect appetite, weight loss, and fat metabolism. When researchers examined the relationship between weight gain and sleep, they found that people who got less sleep were more likely to have a higher BMI. In people who slept less than eight hours, the increase in BMI was proportional to decreased sleep. So what do you do if you don’t get enough sleep? It depends on the cause. Family pressures, stress from work, and an overcrowded schedule can all contribute to a lack of sleep. But because fatigue can cause a wide range of health issues, addressing it is important. Ask for help from family and friends if your schedule is overcrowded. If stress keeps you up at night, learn relaxation techniques to use before bedtime. For some people, simple discomfort presents a physical barrier to exercise and healthy eating. Many exercisers quit their workout routine because the exercise feels too difficult. And according to research, dieters often cite “poor taste” as the reason they didn’t eat healthier foods when they were trying to lose weight. If you can’t lose weight, getting past your discomfort is possible but requires a little bit of homework. Exercise can be uncomfortable, especially for people who are obese or have joint problems. In those cases, investigate non-weight bearing activities, such as swimming, water aerobics or using a stationary bike. If joint issues hold you back, talk to your health care provider about getting a referral to a physical therapist who can recommend the best exercises for your weight loss program. Getting past the discomfort of eating diet food requires a little work as well. If you have the time to cook, investigate some easy ways to make veggies taste better and grill lean proteins, such as fish or chicken, to cut calories. The cooking skills you learn will be useful for a lifetime of healthy eating. For people who don’t have time to cook, there are commercial weight loss diets that provide portion-controlled foods that are similar to the foods most people eat every day. Jenny Craig and Nutrisystem offer entrees like lasagna, chili, and cheese omelets that are low in fat and calories. Hormonal changes in women not only make it difficult to lose weight, but the changes can also cause weight gain. For women of childbearing age, it is very common to gain weight immediately before and during menstruation. Some women report a weight gain of up to five pounds. If you notice occasional weight gain or feel like you can’t lose weight, track your period and see if a pattern emerges. If you notice weight gain around the time of menstruation, remember not to alter your diet to accommodate the change. The “water weight” you gain during menstruation will go away after your period ends. As women age, weight gain and difficulty with weight loss is also common. Many studies report that weight gain occurs because of changes that happen during perimenopause, menopause, and postmenopause. But the exact cause of weight gain is debatable. Some researchers have found that hormonal changes cause women to gain weight in their midsection. Others report that women generally experience a slower metabolism in the years around menopause that can make them feel like they can’t lose weight. But other researchers point out that the physical changes and weight gain often attributed to menopause could be related to lifestyle changes that commonly occur in midlife. In one study, researchers found that women who remained active through menopause experienced little to no weight gain. This led them to question if weight gain is caused more by a decrease in activity than a change in hormones. There are some medical conditions and medications that may cause weight gain or make weight loss more difficult. Cushing’s Syndrome occurs when the body makes too much cortisol. The condition is more common in women than men and can be caused by taking certain cortisone-like medications, such as prednisone. Cushing’s Disease is when the increase in cortisol occurs because of a tumor in the pituitary. Weight gain in the torso, head and neck is one of the most common symptoms of Cushing’s Syndrome. The condition is treatable and should be evaluated by your physician. The thyroid gland in the front of the neck is responsible for producing hormones that regulate metabolism. When the thyroid becomes underactive, it results in a condition called hypothyroidism or low thyroid. Weight gain is common and people with low thyroid have a hard time trying to lose weight. The condition is more common in women than men and is generally treatable with medication. 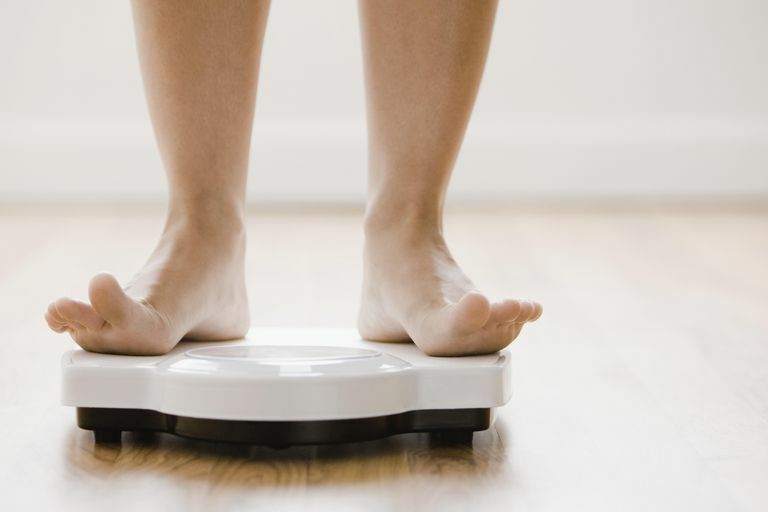 Corticosteroids, some antidepressants, and medications used to treat certain psychiatric disorders often cause weight gain or make weight loss more difficult. Additionally, some diabetes and high blood pressure medications may also cause you to gain weight. If you can't lose weight and you suspect that your medication may be to blame, speak to your pharmacist about the specific side effects of the pills you are taking. Then talk to your healthcare provider about treatment options. In some cases, there may be medications, such as metformin, that can be used to combat the weight gain. When you are trying to lose weight, you owe it to yourself to investigate any physical, emotional, or environmental barriers that may be standing in the way of weight loss success. Reach out to friends, family, and experts to get the help you need so that you reach your weight loss goals. Brendan Gough, Mark T. Conner. " Barriers to Healthy Eating Amongst Men: A Qualitative Analysis." Social Science and Medicine January 2006. Johns Hopkins Prescriptions Drugs Health Alert. Barbara Sternfeld, Hua Wang, Charles P. Quesenberry Jr, Barbara Abrams, Susan A. Everson-Rose, Gail A. Greendal, Karen A. Matthews, Javier I. Torrens, MaryFran Sowers " Physical Activity and Changes in Weight and Waist Circumference in Midlife Women: Findings from the Study of Women’s Health Across the Nation." Am. J. Epidemiology (2004) 160 (9): 912-922. Shahrad Taheri, Ling Lin, Diane Austin, Terry Young, Emmanuel Mignot. " Short Sleep Duration Is Associated with Reduced Leptin, Elevated Ghrelin, and Increased Body Mass Index." Public Library of Science Medicine December 2004. A. Tchernof, E.T. Poehlman, J.P. Després. "Body Fat Distribution, The Menopause Transition, and Hormone Replacement Therapy. "Diabetes and Metabolism Vol 26 - N° 1. UpToDate.com. Cushings Syndrome Beyond the Basics. Can Chitosan Help You Lose Weight Naturally?